Are you searching for fun family restaurants in Los Angeles? Paradise Cove Beach Cafe will meet all your expectations and more. The views, the food, the beach, and the activities all combine to make a kid-friendly fun atmosphere for your whole family to enjoy. 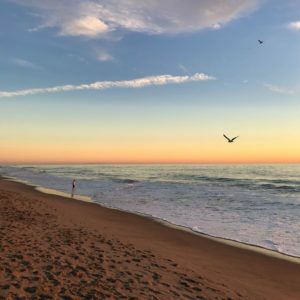 We are a short drive north of Los Angeles up the Pacific Coast Highway, right on the beach in Malibu. Fun family restaurants in Los Angeles are hard to come by. Some restaurants that are considered kid-friendly lack the additional amenities that Paradise Cove offers. There are several features that contribute to our reputation as one of the most fun family restaurants in Los Angeles. 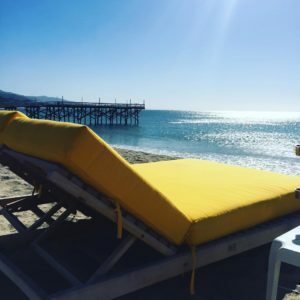 Paradise Cove is a world away, right here in Malibu; home to an amazing beach and iconic pier. We are famous for our views and we are right on the beach. At the Paradise Cove Beach Cafe our guests have the option of dining inside or out, so you can enjoy your meal with your toes right in the sand. We have Lounge Chairs and Beach Beds to rent right on the beach so you can kick back relax and enjoy. Here at the Paradise Cove Beach Cafe we are well known for our Meant-to-be-Shared, Family Style dishes. Our popular Paella Paradise is a delicious seafood dish loaded with Jumbo Shrimp, Clams, Mussels, Calamari, Chicken, Hickory Smoked Ribs, Gourmet Sausage, Bell Peppers, Tomatoes, Garden Vegetables and Saffron Rice. Another family favorite is the Smokehouse BBQ Feast a heaping platter of Hickory Smoked Ribs Baby Back Ribs, Kobe Beef Ribs, Smokehouse Chicken and Gourmet Sausage all piled high with our Golden Fries and Corn on the Cobb. Food and Fun are meant to be shared here at Paradise Cove. Most fun family restaurants are just restaurants but out here at the Paradise Cove Beach Cafe we are all about having fun in the sun with the family. 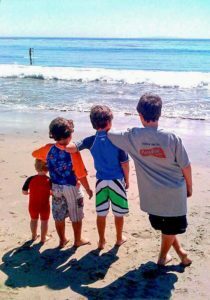 We are just off the Pacific Coast Highway right on the beach in world famous Malibu. Open 365 days a year for Breakfast, Lunch and Dinner with a Kids Menu that will keep them smiling. Then take time to dip your toes into the beautiful blue Pacific, build a sandcastle, explore the tide pools or splash around with a boogie board. If you are in search of fun family restaurants in the Los Angeles area - look no further. 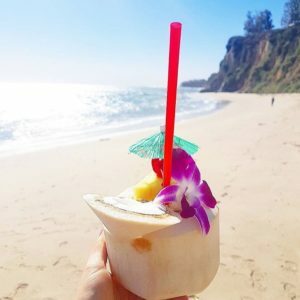 The Paradise Cove Beach Cafe is all about having food and fun in the sun with the family. Come on out and enjoy our beautiful beach, and amazing food and drink in a family friendly atmosphere.